Matt Vinzant has been infatuated with springs and caves his entire life. 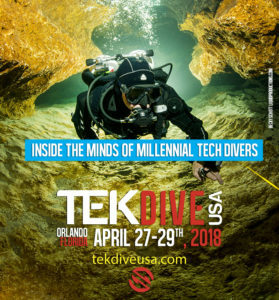 In 1998 at the age of 12 he became open water certified and toured the state of Florida diving with his family. In 1999 he became cavern certified then continue on to full cave, he has been learning ever since. Matt has a BS in Environmental Science from the University of South Florida and works for the South West Florida Water Management District. Matt is passionate about caves, both flooded and dry. 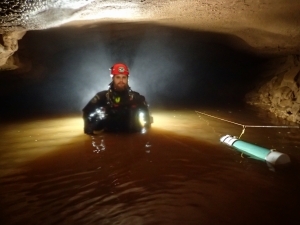 He enjoys all aspects of caving; sidemount, no mount, deep, long range, siphons, silty, sumps, vertical and survey. He has actively participated in cave exploration throughout the southeastern United States for the last 15 years. 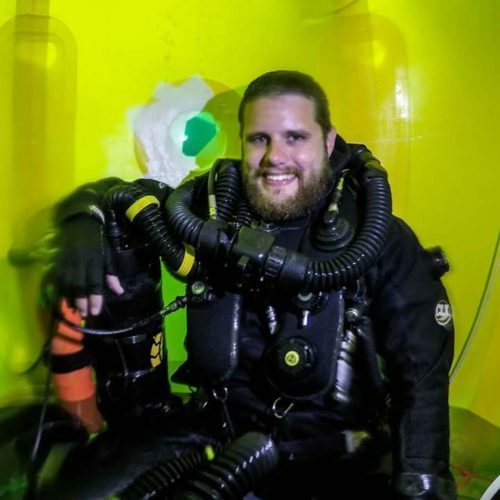 If Matt is not underground, underwater, or ridge walking he is modifying or building equipment to overcome the challenges of cave exploration.